Curious how Edgewater Glen voted? 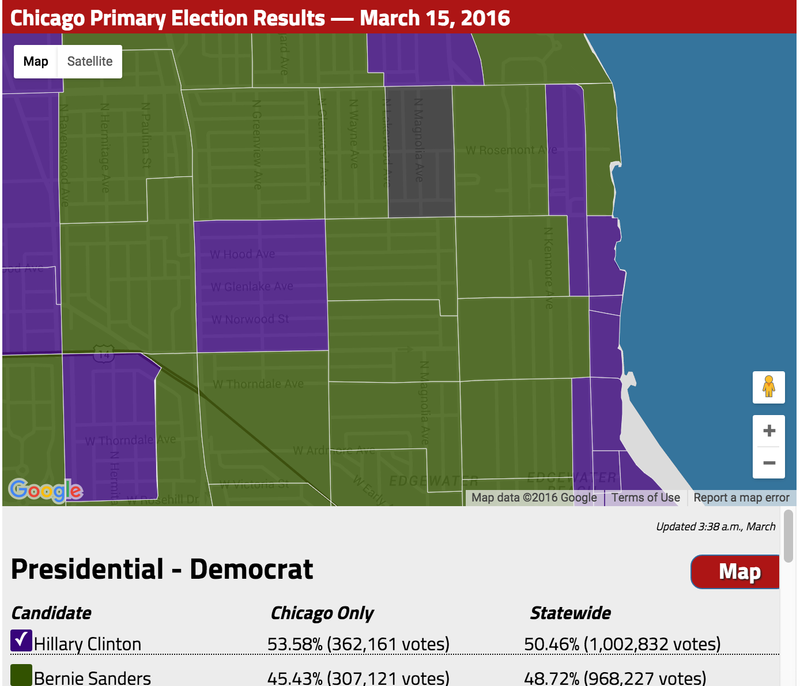 Check out these maps from DNAInfo’s Illinois Election Results Map below. West sider Edgewater Glendonians went for Hillary Clinton while the east siders went for Bernie Sanders. 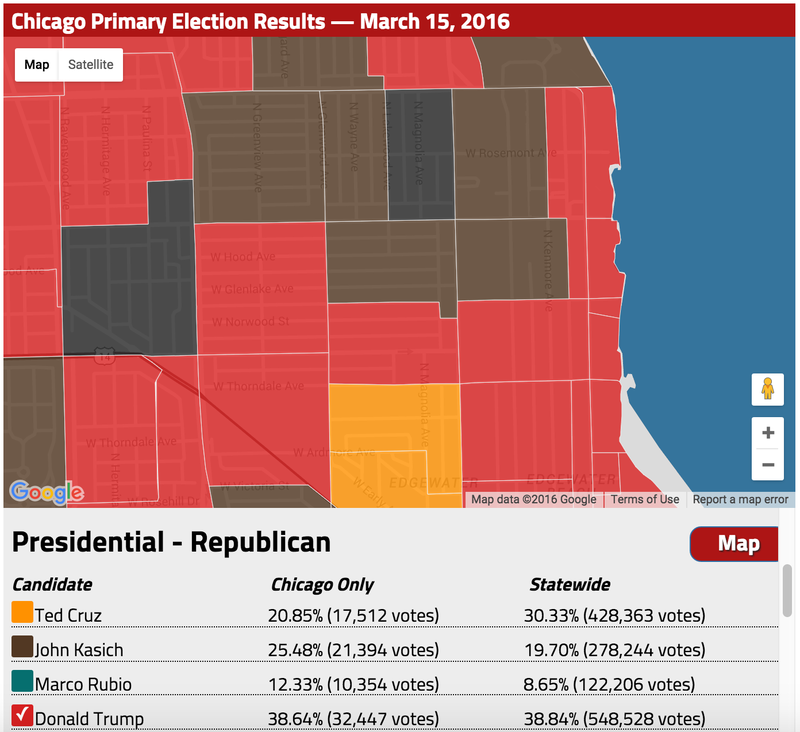 West sider Edgewater Glendonians went for Trump while the east siders were split between Trump & Kasich. It looks like we’ve got Ted Cruz making a showing down in Magnolia Glen and Marco Rubio to the north of Granville and west of Clark. Looking at the combined vote totals for the 3 precincts that generally make up “Edgewater Glen” gives a clearer picture of which direction the neighborhood leans. You can view DNAInfo’s map here if you want to see the whole city’s results or hover over specific precincts to see the exact vote totals.